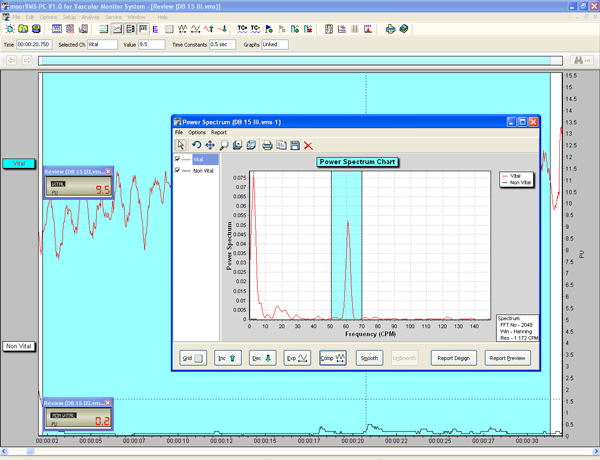 Laser Doppler is considered more reliable than sensory testing for pulp vitality testing. This is because there can be adequate vascularisation to support tooth pulp vitality even when sensation is lost due to nerve damage. 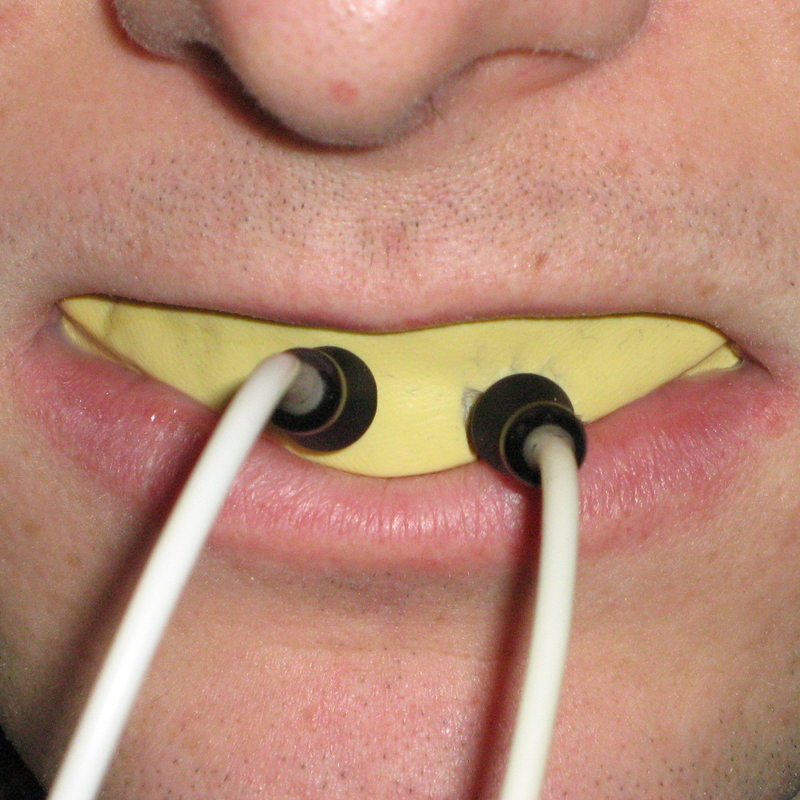 Blood flow is assessed by placing laser Doppler probes in contact with the teeth, typically using a dental putty splint to support the probe. 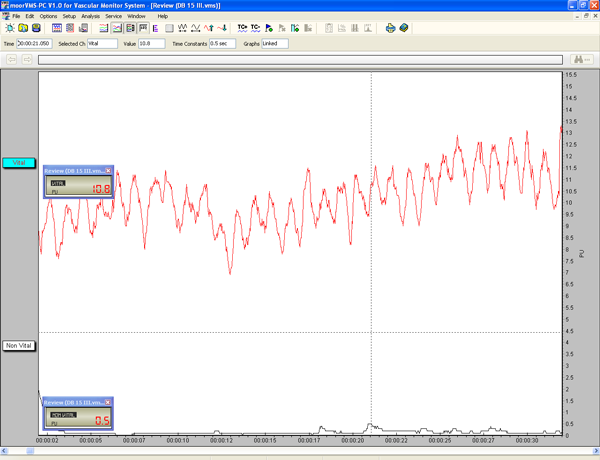 The graph below illustrates a simultaneous comparison of blood flow in Vital and Non Vital teeth. 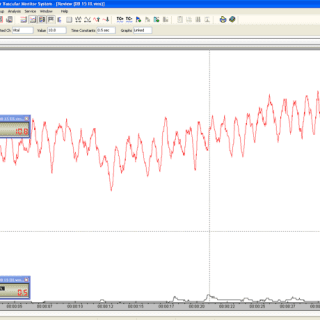 Further confirmation can be obtained by using FFT analyses of the blood flow recording to investigate the presence or absence of the cardiac pulse. 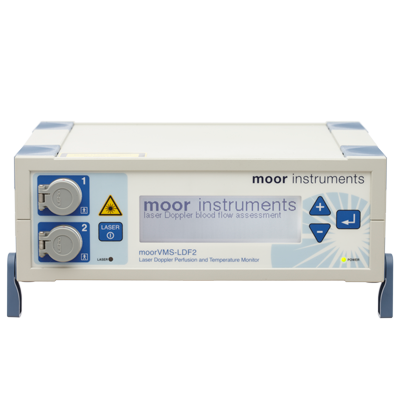 We typically recommend moorVMS-LDF (single channel, or dual for direct tooth comparisons), together with VP3 needle probes for front tooth assessment and VP5 for rear teeth. 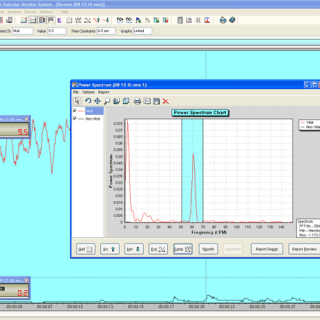 Our moorVMS-PC software features FFT and wavelet analyses to assess the strength of the pulsatile component of the flow signals. Chen, E., & Abbott, P. V. (2011). 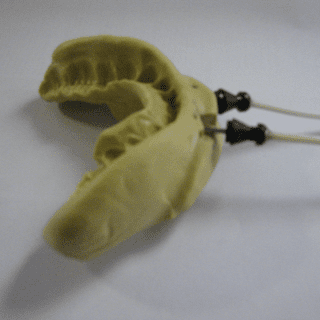 Evaluation of accuracy, reliability, and repeatability of five dental pulp tests. Mesaros, S., Trope, M., Maixner, W., & Burkes, E. J. (1997). Roeykens, H., & De Moor, R. (2011). The use of laser Doppler flowmetry in paediatric dentistry. Roeykens, H., Van Maele, G., Martens, L., & De Moor, R. (2002). A two-probe laser Doppler flowmetry assessment as an exclusive diagnostic device in a long-term follow-up of traumatised teeth: a case report. Glutamate control of pulpal blood flow in the incisor dental pulp of the rat.